Surf & Yoga with Leah in Sayulita: Whether you are a beginner to both surf and yoga, a seasoned yogi who wants to learn to surf, or a surfer ready to learn the foundations of yoga, or deepen your current practice, Leah draws on yogic movement based principles to enliven your experience of moving meditation. Offering private and intimate group instruction in yoga, surf, and SUP, and combo packages, Leah is gifted in her ability to meet each student where they are, and build a challenging yet (super!) fun experience from that place. Originally from Vancouver, Canada, Leah is a yoga teacher with over 1000+ teacher training hours, and 18 years teaching/practicing experience. Initially focused on Ashtanga Yoga and Mysore practice, Leah later shifted to deeper study in the Anusara, and Iyengar lineages, as well as Shamata-vipassana meditation. She currently blends her years of practice a into a gentle yet vigorous Hatha flow, and meditation class. Certifications: Leah is also a Paddle Canada Certified Advanced SUP Instructor, a Registered Open Water Lifesaver (Bronze Medallion/Bronze Cross), and a Surf instructor, so you'll feel safe and cared for in the water with Leah. Use the contact form to get in touch by email or telephone! Definitely recommend lessons with Leah! I had such a great time surfing with Leah. I was looking for a female surf instructor, and not only did she fit the bill, she totally got it. She was extremely thorough with her explanations, we covered so many topics (all of which I knew very little about) such as reading the waves, understanding the water and most imporantly ... having fun!!! Leah was patient on the water, she gave really great feedback on things I could improve each time and really facilitated my learning starting with really helping me catch the first few waves and ultimately watching me and cheering me on as I started to catch them myself. I had been self taught for a while and it’s no wonder why I had such a hard time! There were so many things that she showed me to do better/more efficiently. I feel way more confident to continue on my own. I wish I had more time here to practice then do another follow up lesson just to work on more skills. Thanks Leah you were truly fantastic and went above and beyond (those extra tips for videos to watch are top notch)!! I took my first ever surf lesson with Leah, and she was so good that I scheduled another lesson with her for a few days later! I had a time zone mishap and missed my second lesson, but Leah was super flexible and able to reschedule with me before I left town (thanks again, Leah!). The theory we did before each lesson was super helpful, and she was patient and answered all my questions + listened to my fears about open water. She taught me about all sorts of conditions, how to read the waves, and a solid base of surfing safety precautions. The conditions were tough during my first lesson, but she still got me standing up on my board! Great instructor! Plus, she intentionally supports local women-owned businesses in Sayulita, renting boards for the lessons from the only woman-owned surf shop in town. Private Yoga @ our Airbnb ! Leah taught my two boys to surf while we were in Sayulita for the week. She was amazing. So patient, intuitively understood what motivated both of them, and had both of them loving surf lessons so much that they wanted more. I also dropped in on Leah’s M-W night restorative yoga classes, and they were great. Deep, long held poses, exploration of the spiritual side, just terrific classes and just what I needed on vacation. Leah is lovely, generous of spirit, and great at what she does. Can’t recommend her enough! Leah is a great coach that goes above and beyond for her lessons - both surf and yoga. 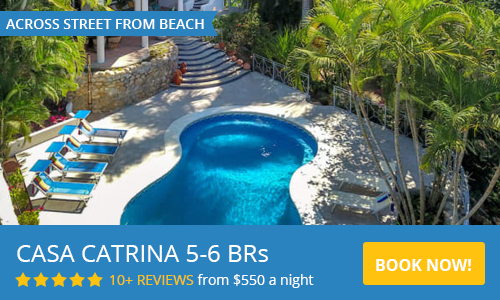 She truly cares about creating the best version of you and is invested in learning what will help you make the most out of your sayulita adventure. And while she is not the local information desk, I loved that she always had a "the Chai Lattes are good there" or "best fish tacos" recommendations whenever we ventured into those topics. She's the best!! I booked a surf lesson with Leah for myself + 3, mostly beginner surfers, all in our early 30's. The night before our lesson one of us got really sick and Leah was totally flexible and happy to postpone our lesson a few days to make sure we were all able to take part. On the morning of our lesson, we met her at her beautiful yoga studio in "downtown" Sayulita, where she explained the basics of surfing to us using yoga mats to demonstrate various moves. It helped to absorb all the information in a peaceful environment before renting boards and heading to the beach. We all felt comfortable getting into the water and took turns catching waves with Leah's help. We all stood up on our first try! Leah has a really clear and positive teaching style, with a laid-back vibe. Of all the other instructors and students I witnessed in the water that morning, it was clear that Leah is special. Highly recommend! Outstanding Instructor for Surfers and Yogi's! I found Leah to be a fantastic instructor, particularly as I think us women approach surfing differently. Working with Leah, you start to understand the waves, how to stand up, how to turn (the sit and spin is worth practicing!) so you can catch a wave with confidence as well as understand the safety aspects of surfing. And so then you become confident enough to catch your own waves! This was my second time back in Sayulita and I would not consider any other instructor or surf school than Leah. I would also highly recommend one-to-one lessons as you will probably progress much quicker. She is also a friendly, fun and easy-going teacher. One other valuable lesson with Leah was where we sat and stared at the waves for a long time, working out which ones were catchable and other things you need to know like what angle /degree to catch the wave at. This definitely helped with catching my own waves. I also did some yoga and meditation with Leah the first time I was in Sayulita which was excellent and the yoga studio is designed beautifully and is very calming. Top Notch - Highly Recommend! It’s crazy how two hours can change your life. This is how i feel about my surf lesson with Leah! I cannot express enough gratitude to Leah and her surf lessons. As i was a complete beginner, I thought I might feel overwhelmed, but Leah is thorough in her explanations. She is calm and patient. I stood up on the board during my first lesson. But in my opinion, more important than standing on the board, was the knowledge Leah shared with me about safety in the water. I felt after just one lesson, I had a good set of skills for reading the waves, and maneuvering around in the sea with an awareness that ensured my most safety. I ended up taking a second lesson with Leah about a week later, and I believe that that second lesson really proppelled my confidence. So much, that i felt confident going alone to surf. Now I go almost every day to experience the sea, to catch some waves and I have to say that every day I catch at least one wave AND I feel comfortable in the water. All thanks to Leah and her simple yet precise explanation. If you have been hesitant to take a surf lesson, or you are hesitant to be a beginner at something, drop your fear and contact Leah! You will be so happy! So grateful! Our entire group of 7 surfers included some that were new and a few that have had lessons before. Leah was able to accommodate everyone and has a wonderful, feel-good, approach. Everyone left smiling and felt much more confident on the surf for the rest of our vacation. Thanks Leah!